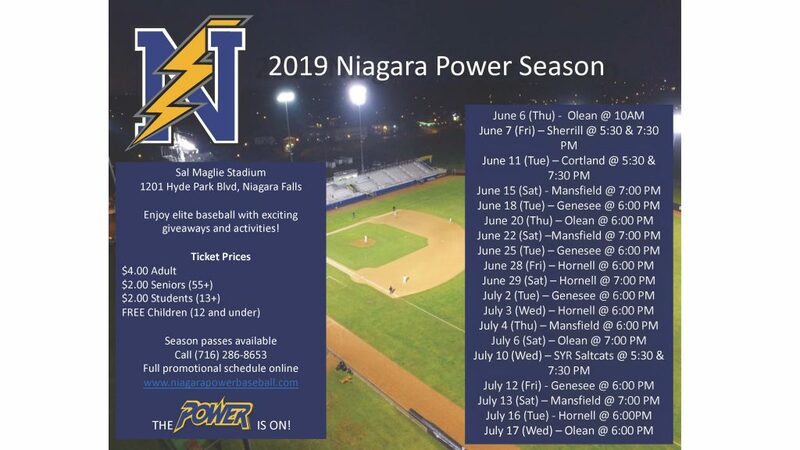 The Niagara Power are excited to offer all faculty and staff discounted pricing on season and single game tickets for the 2019 season. NU Faculty and Staff will be charged the $20 student price on season tickets (Kids 12 and under are free) and $2 single game tickets. For season tickets go to https://apps.niagara.edu/niagara-power-tickets/group-tickets.php?fbclid=IwAR2ZwEP5vCkUja68tJrZXVG05eX-JStRwU5WxHp-IYdyE9cJahkfq-By5Qc and enter in the amount of tickets you need for the season in the student ticket tab. We are also currently running a buy a ticket get a t-shirt special for the month of April.